In addition to its modern design, Cineplexx Parndorf is equipped with the latest sound and imaging technologies, such as laser-light equipped 3D projectors. Dolby Atmos sound technology ensures sharp images and 360-degree sound. “In Parndorf, we guarantee our visitors an overall experience. As a local movie theater, our Cineplexx offers an exciting film program for all age groups. 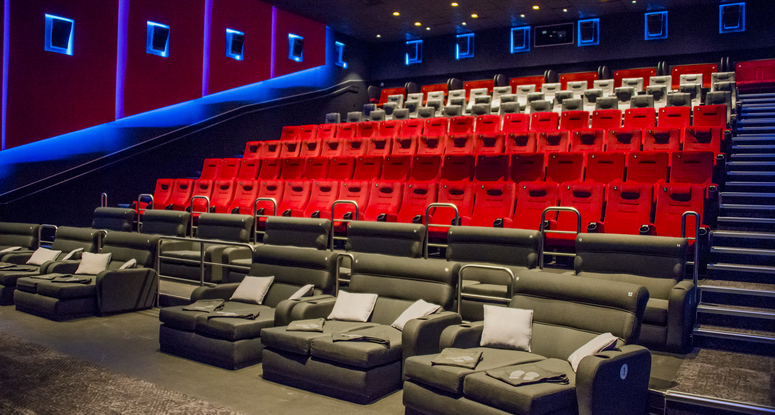 In addition, the new Cinegold seating categories offer exceedingly comfortable seating – from lounge chairs and luxury armchairs with footrests to love boxes for two,” explained Christof Papousek, Managing Director of Cineplexx and member of the ACROSS Advisory Board, at the opening ceremony on March 15, 2018. As a local movie theater, the location should attract the growing population in the districts of Neusiedl and Bruck/Leitha. Per year, 130,000 visitors are anticipated. The Austrian and international customers of the McArthurGlen Designer Outlet Parndorf and FOP Management GmbH’s Parndorf Fashion Outlet of – both immediate neighbors on the site in Burgenland – are, naturally, also included in the target group. Entertainment in the outlet segment is steadily gaining importance. Accordingly, mutual promotions and advertising cooperation with FOP Management GmbH and McArthurGlen are on the agenda. For example, characters from upcoming movies will stroll through the outlet area. Shoppers should be encouraged to round off their shopping experiences with trips to the movie theater and, possibly, a meal – during the day or in the evening. With regard to food: A gastronomic area is currently being built next to the new movie theater. Hungry visitors can expect to find a Vapiano and an OX steakhouse, among other offerings. 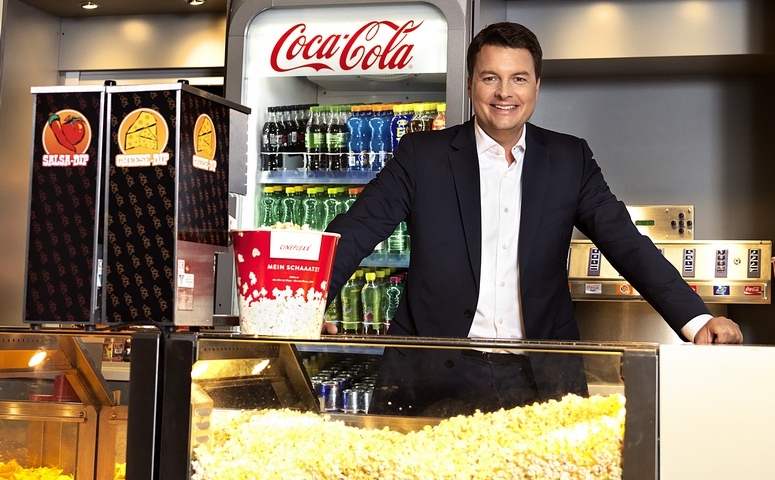 As soon as this gourmet establishment opens its doors – presumably in the fall of 2018 – a collaboration with Cineplexx will take effect, according to Papousek. Utilization of the new movie theater in Parndorf during the first few months was certainly satisfactory. The aforementioned collaborations and upcoming releases of mass-produced movies such as “Jurassic World: The Fallen Kingdom” and “Mamma Mia! Here We Go Again” should further boost the numbers. Cineplexx Kinobetriebe GmbH was founded in 1993 as a subsidiary of Constantin Film-Holding GmbH in Vienna. At that time, many traditional movie theaters in Austria were disappearing from the market as multiplex movie theaters were setting new standards. Constantin Film responded to this trend by establishing a group in Austria, which currently boasts 20 major movie theaters and 158 screens. In 2009, Cineplexx International GmbH launched its expansion. Today, Cineplexx is represented with 42 multiplexes and six traditional locations in Austria, Croatia, Serbia, Slovenia, Bosnia & Herzegovina, Montenegro, Macedonia, Albania, Kosovo, Greece, and Italy, and it counts more than 300 screens. With approximately 1,500 employees, the company generated sales of around 140 million euros in the previous year. 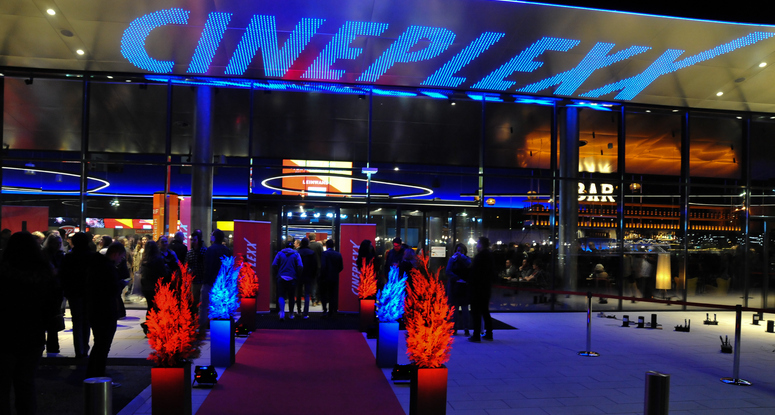 In 2017, Cineplexx movie theaters welcomed nearly 12 million visitors.